Click here to donate now. Simply select "Annual Fund" under Donation Categories. What makes Charleston Catholic a special place? As you can see, our students (our Saints) love their school! How does this happen? Adults create the environment that makes it possible for the students to love their school. Thus, we are very grateful to all of the teachers, staff, parents, grandparents, coaches, and volunteers who help create and sustain a loving family environment for our students. The students excel when they believe that their school is their “home away from home”. When everybody works together to carry out the mission of our school, the students are the beneficiaries. 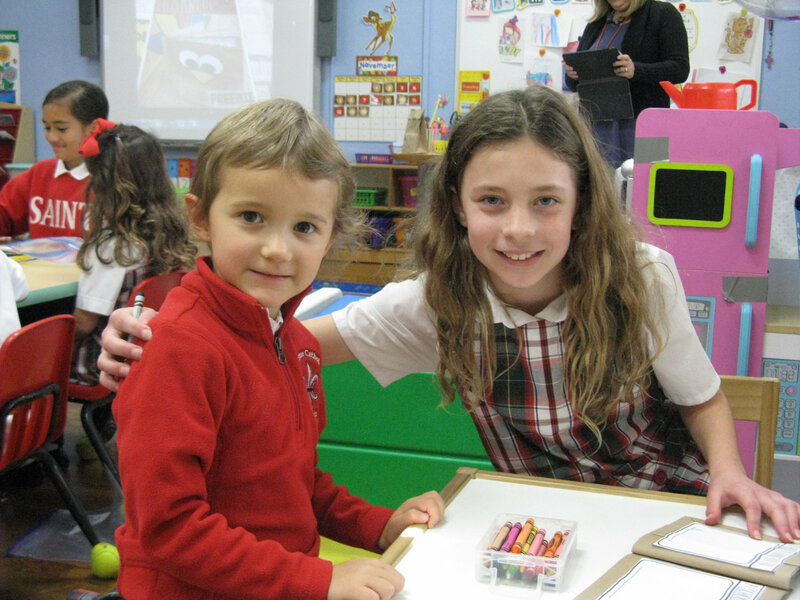 Please consider a gift to this year’s Annual Fund to support the programs and daily operations of Charleston Catholic School. Each gift helps to provide funding that supplements tuition revenue and parish subsidies in the school’s budget. Our goal for this year’s Annual Fund is $35,000. Thank you for your prayers, service to the school, and financial support. May you and your family always be blessed.